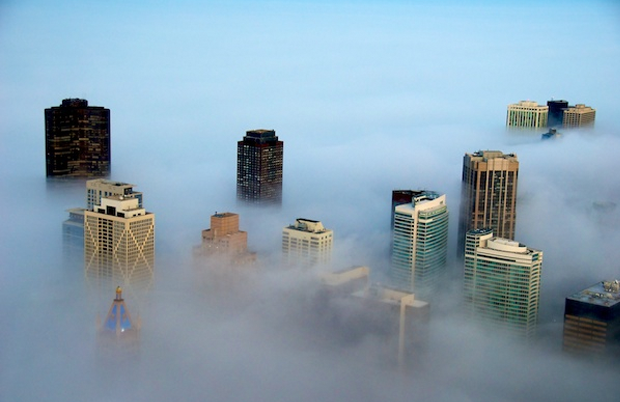 Clouds and fog are not the same, but sometimes, when the fog is thick enough, it creates a fairy-tale illusion of a city built in the clouds. 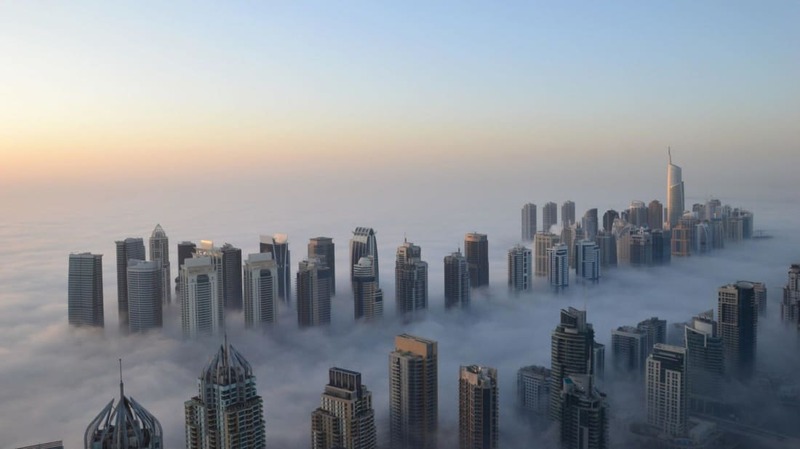 Above, you can see a thick layer of fog surrounding the buildings of Dubai. 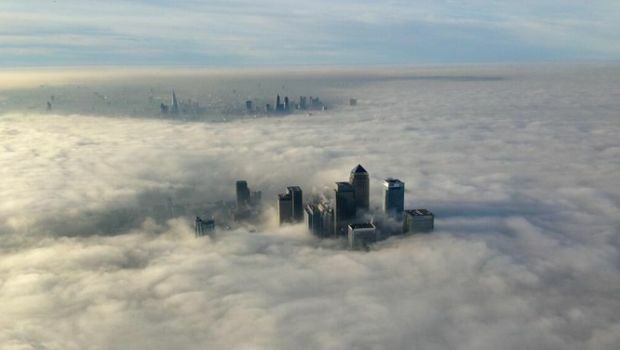 Skyscrapers in the Canary Wharf of London poke out of the "clouds." The fog seems to go on forever. 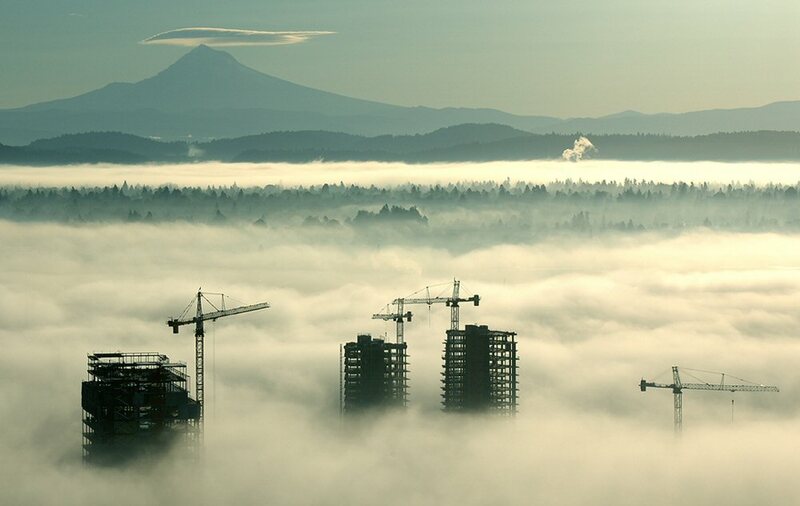 A building under construction in southwest Portland is nearly swallowed up. 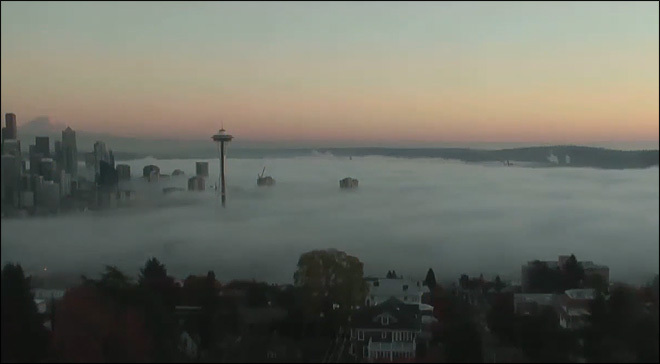 Fog comes crashing over Seattle like a wave, but the Space Needle stands high above the mist. 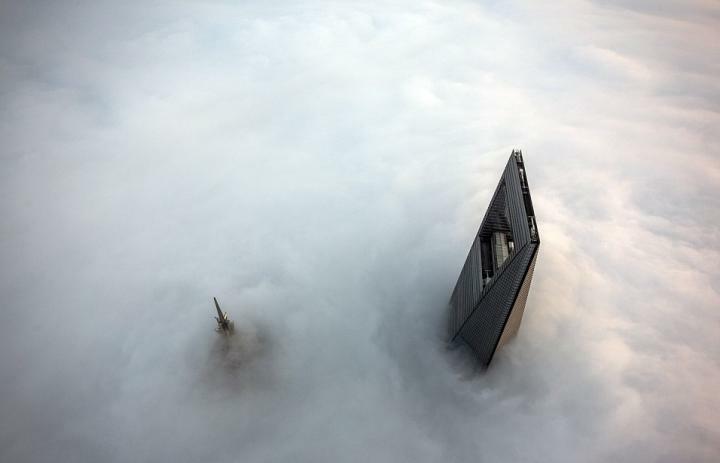 The top of the Shanghai Tower emerges from the dense fog. 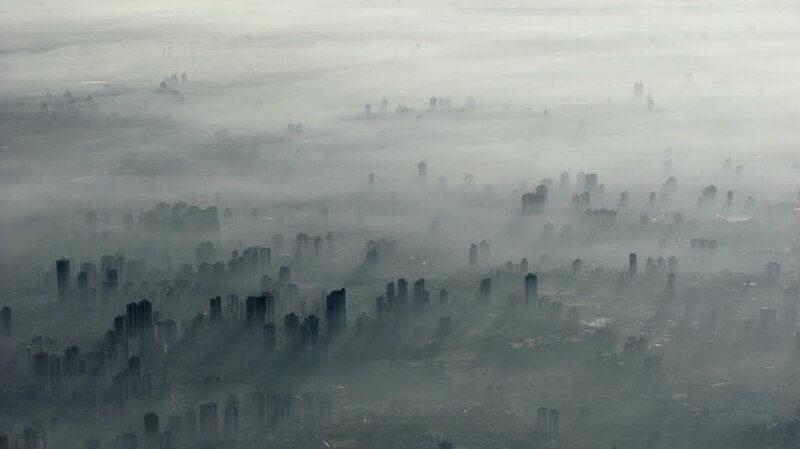 The ghostly fog covering Sao Paulo, Brazil makes for a spooky photograph. 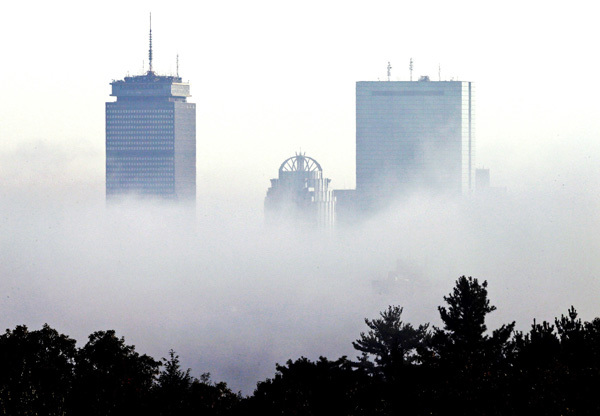 The Hancock and Prudential Towers are surrounded by a eerie mist. 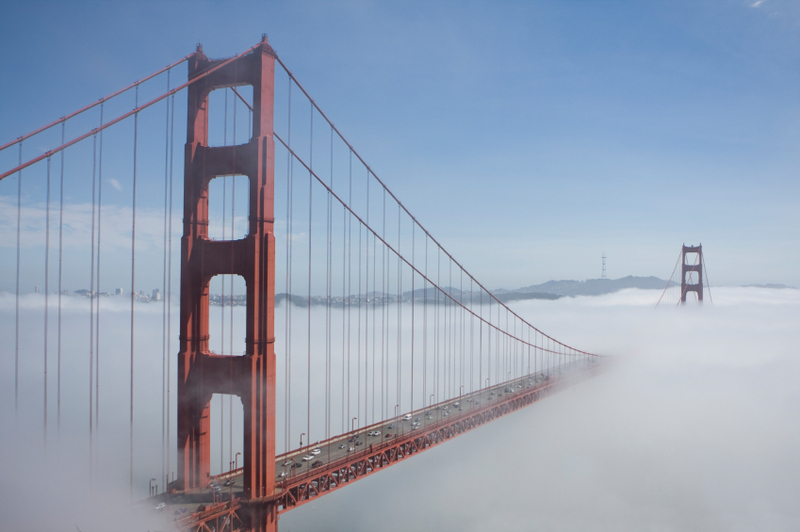 The Golden Gate Bridge is no stranger to fog. In fact, the bridge was painted orange to increase visibility in the otherwise murky landscape. 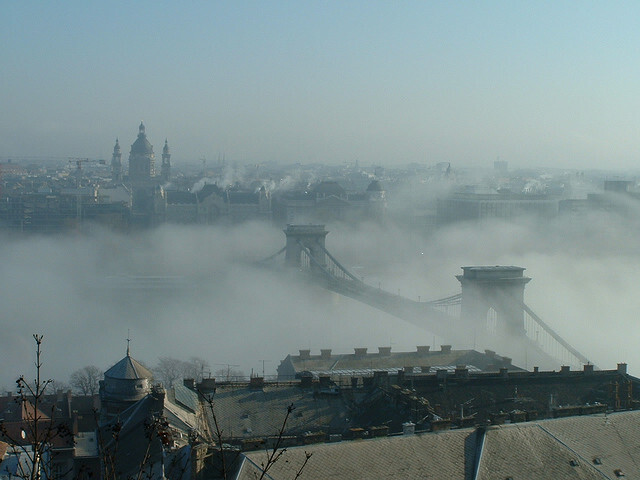 Fog engulfs the Chain Bridge in Budapest, Hungary.